The White Negroni strips the original of its dark spirits. Suze gentian root liqueur stands in for Campari; the French aperitif wine Kina L’Aéro d’Or takes over for sweet vermouth. Tobin Shea swaps out the gin base with nigori, hence the name Little Tokyo. The Mariachigroni, the Mexican cousin of the Euro standard, is made with El Silencio mescal. 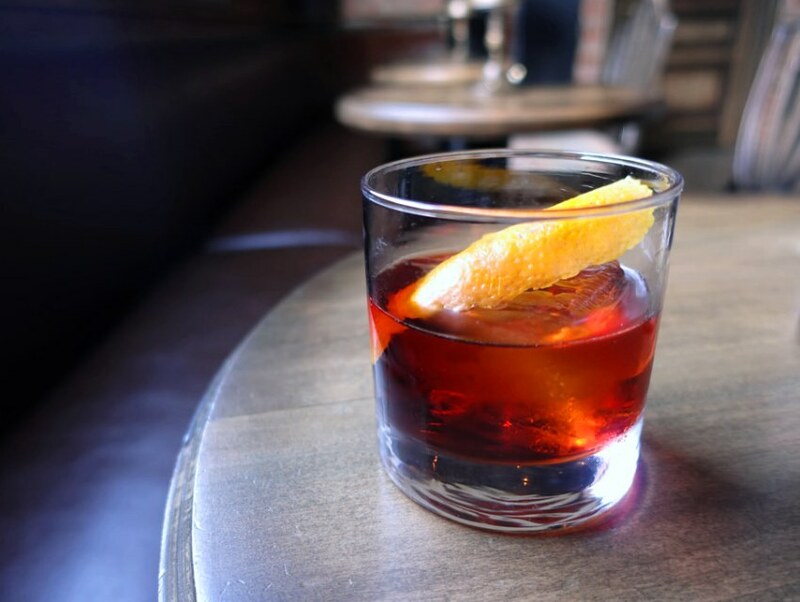 White grape shrub gives this mescal-tequila Negroni—dubbed What Are You Grapeful For?—the qualities of a great sour beer. For his tangy take, Matthew Biancaniello uses white peach balsamic vinegar.